The Lady Dior is one of the most popular collections from Christian Dior. This Lady Dior Leather Pouch is no exception. Crafted in soft black lambskin leather with signature cannage stitch pattern. 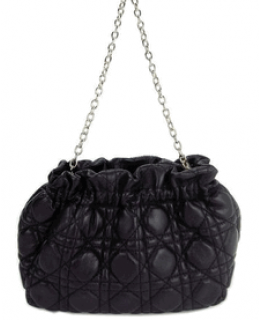 Features a long chain shoulder strap and fully lined interior. Made in Italy.